When it comes to picking your options for straighter teeth at Niddrie Dental Clinic, it’s easy to see the clear benefits that Fastbraces offer. Besides improving your smile Fastbraces are an effective and scientifically proven method to straighten teeth. 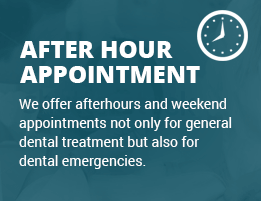 We often see patients wanting to get their teeth straightened to attend a special occasion in less than six months. Fastbraces may be the solution for that! Most of the treatment entails no extractions. Once the root development has completed for all teeth, there is NO AGE LIMIT! Options for clear braces and wires, and Fastbraces turbo treatment for even faster results. Fastbraces also has the bonus advantage of taking less than half the time of traditional braces to correct misaligned teeth.